Problem: A global electronics brand came to us with an issue concerning heat build-up in their consumer headphones. 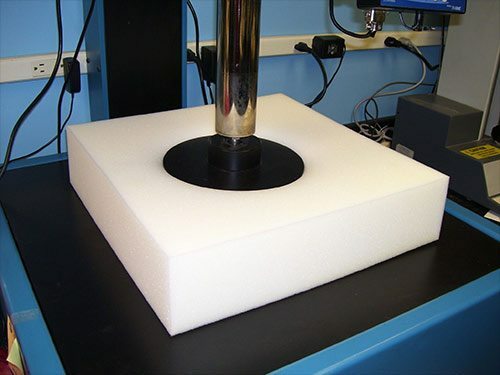 Solution: We developed a unique viscoelastic foam pad and integrated phase change technology in order to keep the customer cool! Problem: The United States Space Administration had issues with off-gassing of foams in the interior of vehicles. Solution: We substantially reduced off-gassing to a negligible level. Problem: A customer in the medical industry had an issue with patients suffering pressure ulcers from the operating table during lengthy surgeries. Solution: We developed a viscoelastic foam and gel composite to reduce incidents of pressure ulcers developing during surgeries. Problem: A critical military application required a compact seat able to withstand desert conditions while providing user comfort. Solution: We developed a state-of-the-art memory foam with shock absorption characteristics, stable in high-temperature environments. Problem: A medical supplier had an issue regarding patient stability during high-incline surgical positions. Solution: We developed an adhesive-free material with a high frictional coefficient capable of stabilizing the patient. At Bergad, we are problem solvers. Every project represents a challenge, and we have the history, expertise, and forward-thinking philosophy to provide products beyond your expectation.